Managing year end inventory is essential to profit and loss. Ensure that your balance sheet is accurate moving ahead into a new year. The hustle and bustle of black Friday has passed. The stress of the holidays hopefully has pushed your organization to its limits and sales have been good. Now is the time to review your inventory, get an accurate count, and shore up your P&L before Q1. Making a complete inventory can be a big job and there are several best practices that you will want to take into account before undertaking such a task. A full inventory is going to take time and you will want to pick a time that will be of minimum impact on your daily process. 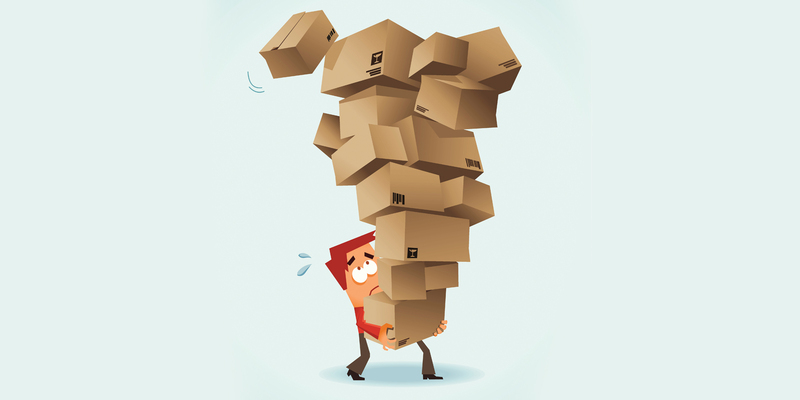 You will want to get an inventory count that is uninterrupted by product moving in or out. Proper preparation will set your team up for success in getting an accurate count. Tidy up your stock areas. Make sure all stock is clearly labeled for expeditious scanning. Section out your warehouse into zones that can be counted by a single staff in a given amount of time and then delegate those zones to your counters. Give the counters check lists as well. If in your planning stage you have done the work of partitioning, you should have a sense of how many bodies you will need on the ground and how long it will take. Schedule overtime and hire temps as needed. The count should happen and there should be someone looking over the counters shoulder. It is a tedious task, but this will insure that your count is as accurate as possible. Double checking you totals as you go. This will make sure that you can nix miscounts as they occur. Once you have completed your count, review, and reflect on your process. Are there any actions that can be taken that can improve the count? Are they any tools that you can implement that will make counting easier in the future? Evaluate and purchase inventory management software? Looking forward you can take what you have learned by doing your count and improve upon it? Part of the human condition is that when we do something, we innately learn how to do it better. A year end inventory can be a daunting task, but with the right scheduling, planning, staffing, and audit systems in place it can be less cumbersome as you continue to do them. Contact Scout and learn more about how you can automate year end tasks and control inventory with our topShelf solution.